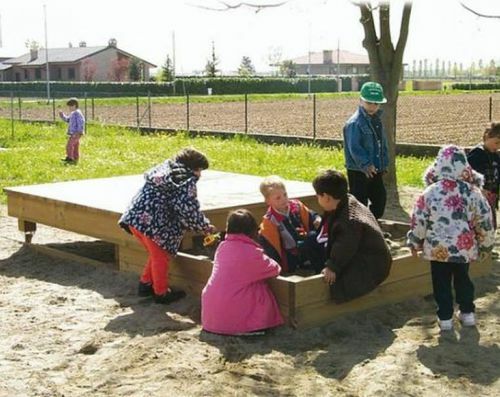 A sandbox provided with a resistant movable lid to protect the sand from bad weather conditions and animals. 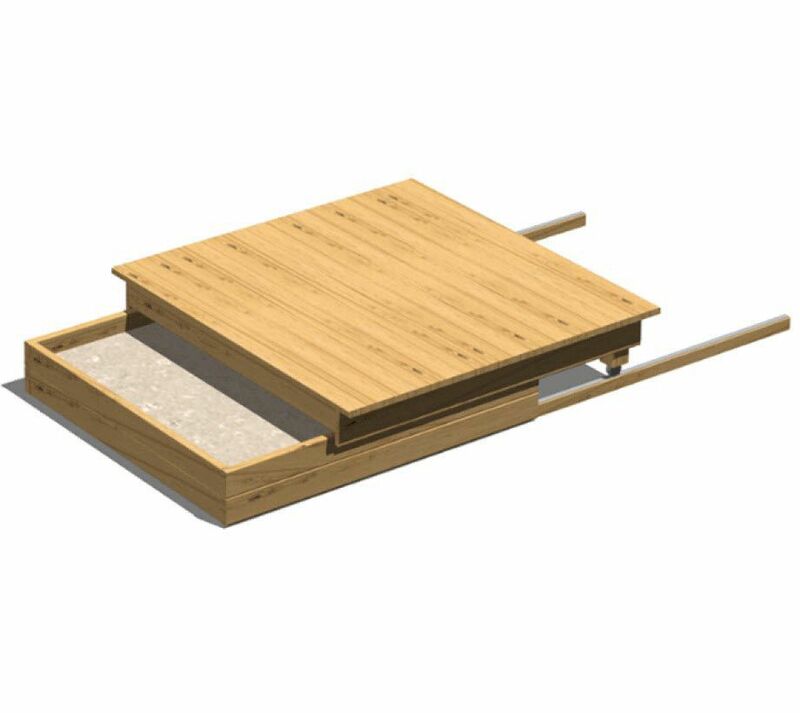 The lid transforms into two platforms sliding on wheeled, aluminium rails, which can be used for games, role-play and outdoor activities. They are equipped with safety and locking devices to prevent accidental hand injuries and to hold the lids open or closed. Sand is provided separately (Item 200753 Sand bag).